LATIN Hanc ígitur oblatiónem servitútis nostræ, sed et cunctæ famíliæ tuæ quǽsumus, Dómine, ut placátus accípias: diésque nostros in tua pace dispónas, atque ab ætérna damnatióne nos éripi, et in electórum tuórum júbeas grege numerári. Per Christum Dóminum nostrum. Amen. ENGLISH We therefore beseech Thee, O Lord, to graciously accept this oblation of our service, as also of Thy entire family; dispose our days in Thy peace, save us from eternal damnation, and command that we be numbered in the flock of Thine elect. Through Christ our Lord. Amen. From what I have studied, the Roman Rite is so ancient that it does not have any explicit Epiklesis. Both the Quam oblatiionem and the Supplices te are invoking the Holy Spirit. But neither are literally the Epiklesis. Other places in the Latin Mass the Holy Spirit is invoked. Quam oblatiónem tu, Deus, in ómnibus, quǽsumus, benedíctam, adscríptam, ratam, rationábilem, acceptabilémque fácere dignéris: ut nobis Corpus, et Sanguis fiat dilectíssimi Fílii tui Dómini nostri Jesu Christi. Which oblation, do Thou, O God, deign in all respects to make blessed, approved, ratified, reasonable and acceptable, so that it may become for us the Body and Blood of Thy most beloved Son, our Lord, Jesus Christ. Súpplices te rogámus, omnípotens Deus, jube hæc perférri per manus sancti Ángeli tui in sublíme altáre tuum, in conspéctu divínæ majestátis tuæ: ut quotquot ex hac altáris participatióne, sacrosánctum Fílii tui Corpus et Sánguinem sumpsérimus, omni benedictióne cælésti et grátia repleámur. Per eundem Christum Dóminum nostrum. Amen. 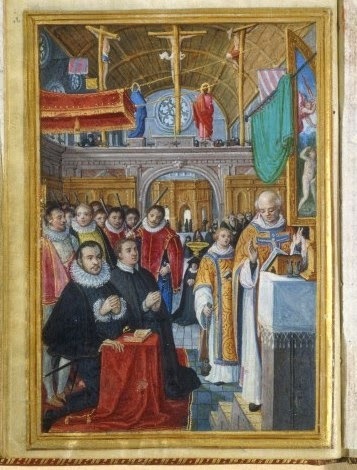 Humbly we pray Thee, almighty God, command these offerings to be borne by the hands of Thy holy Angel to Thine altar on high, in the sight of Thy divine majesty, so that as many of us as shall, by partaking from this altar, consume the most holy Body and Blood of Thy Son, may be filled with every heavenly grace and blessing. Through the same Christ our Lord. Amen. The Orthodox believe that the transubstantiation, (when the bread and wine becomes truly the Body and Blood of Jesus), takes place at the Epiklesis, not at the words of consecration. 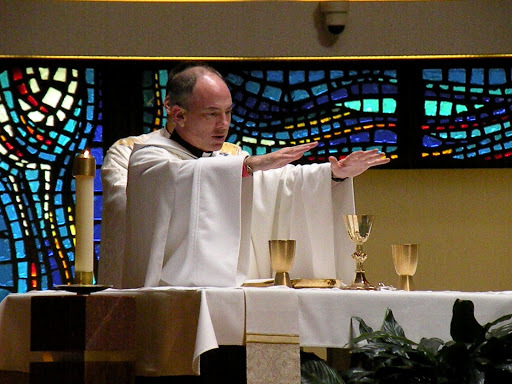 We Catholics believe it takes place at the words of consecration. The reason the Epiklesis is not explicitly found in the ancient Roman Rite, (Latin Mass), is because it was added in later into the Eastern Rite Divine Liturgies. LATIN Quam oblatiónem tu, Deus, in ómnibus, quǽsumus, benedíctam, adscríptam, ratam, rationábilem, acceptabilémque fácere dignéris: ut nobis Corpus et Sanguis fiat dilectíssimi Fílii tui, Dómini nostri Iesu Christi. 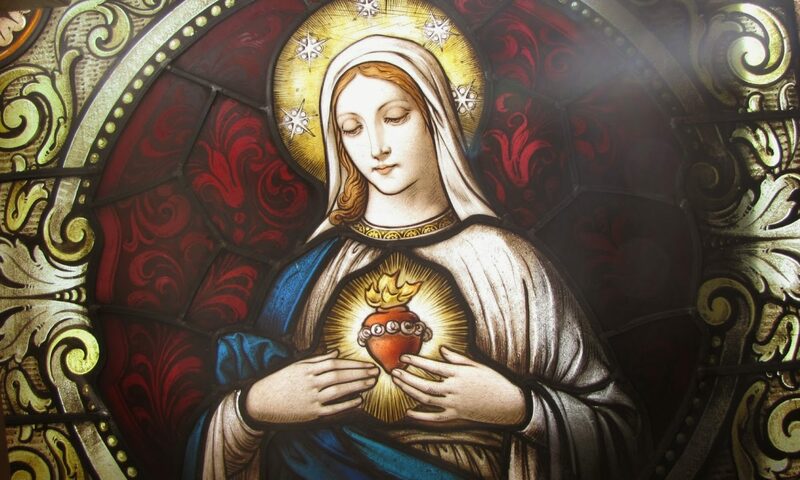 ENGLISH Be pleased, O God, we pray, to bless, acknowledge, and approve this offering in every respect; make it spiritual and acceptable, so that it may become for us the Body and Blood of your most beloved Son, our Lord Jesus Christ. In the New Mass it is called the Epiklesis (Invocation of the Holy Spirit) and prayed in the New Mass in Canon II with this prayer. And so, Father, we bring you these gifts. We ask you to make them holy by the power of your Spirit, that they may become the body and blood of your Son, our Lord Jesus Christ, at whose command we celebrate this Eucharist. Again we find changing the Sacrifice of the Mass to try to fit in with MODERN evidence that eclipses ancient tradition. We are so blessed to be traditional Catholics and to be able to trust the Church’s ancient Latin Mass.